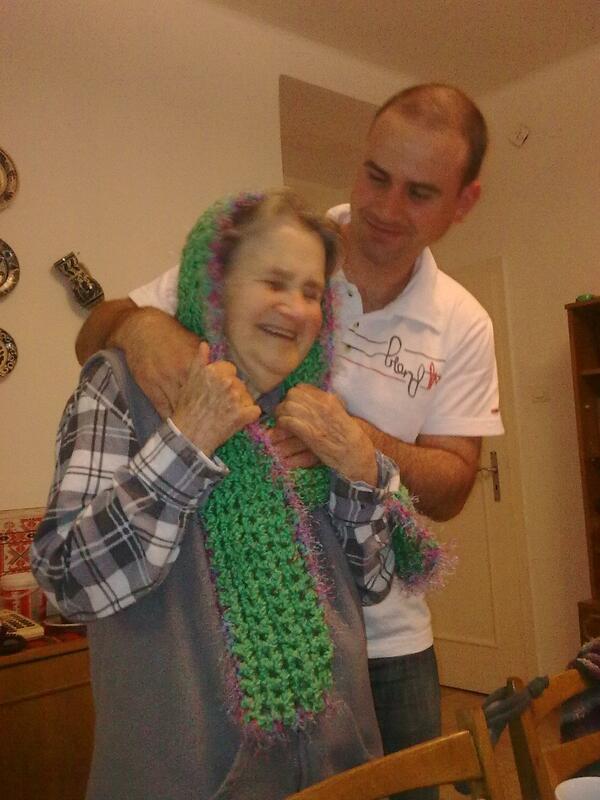 Here is rescuer Pápai Katalin from Hungary with her grandson, wearing a scarf knitted by Mary Ann Jorgensen. My Mother is 92 and she has difficulties to see, therefore I am the one to answer your kind letter. She was happy to receive the scarf knitted by Mary Ann Jorgensen. She is very kind to put an effort into making it. Attached we send the picture we took of her. We hope she will still have a chance to wear it during the next winter.